Peel Regional Police will charge a Brampton, Ont., man with second-degree murder on Tuesday in connection with the death of his 10-year-old son. 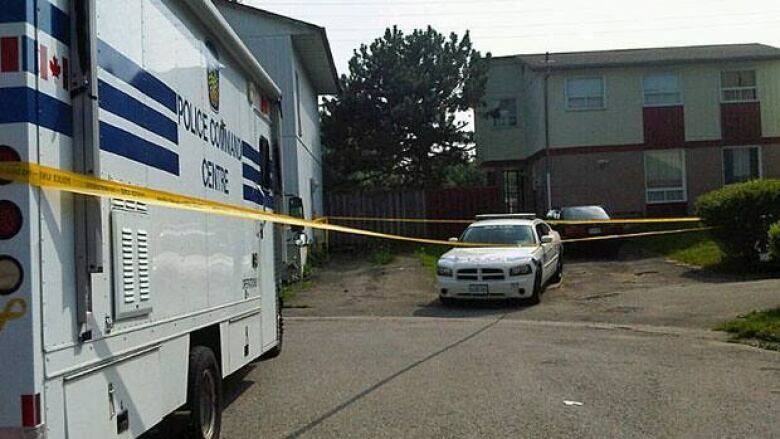 Garfield Boothe, 31, currently faces one count of failing to provide the necessities of life after his son, Shakeil Boothe, was found dead Friday in a home on Homeland Court, located in the Dixie Road and Howden Drive area of Brampton. "Unfortunately and tragically we are of the opinion now that a criminal element did exist [in this case]," Cst. Adam Minnion of Peel Police told CBC News on Monday. Minnion also confirmed to CBC that Boothe would be charged with second-degree murder on Tuesday. The investigation began Friday when police responded to a 911 call shortly after 5 p.m. ET and found the child unresponsive in the home. The boy was declared dead at the scene. Police say an autopsy was conducted on Saturday. The autopsy results have not been released. "He was very polite," a neighbour told CBC News when asked about the boy. "Always 'yes please' and 'no thank you.' We used to bring him candy and suckers and he seemed alright." "A great little guy," the neighbour said. "His dad said he brought him here for a better life, better education and I guess it didn't turn out that way." Shakeil Boothe attended Hanover Public School in Brampton, not far from where he lived. The school's superintendent told CBC News that Garfield Boothe pulled his son out of school in January. The school has sent out a letter to parents advising them that grief counsellors will be available to help students cope with news of the boy's death. Boothe made a brief court appearance on Saturday, where he was remanded into custody. His next court appearance is scheduled for Tuesday.